I love the balance between the technical skills of writing and the softer aspects of just being in the most idyllic island and having fun. Sarah’s knowledge of the technical skills of what makes a story and a good mix well with Kate’s feel for the flow of energy, the blockages and what we needed to release for our creative process to work. 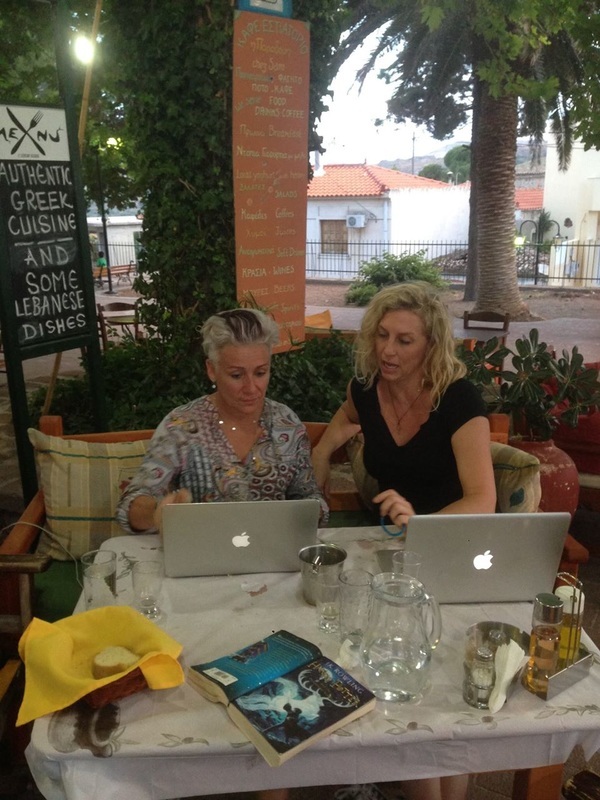 Kate and Sarah getting ready for the writers up at the traditional estiatoria Sam's in Eressos Village in 2016.